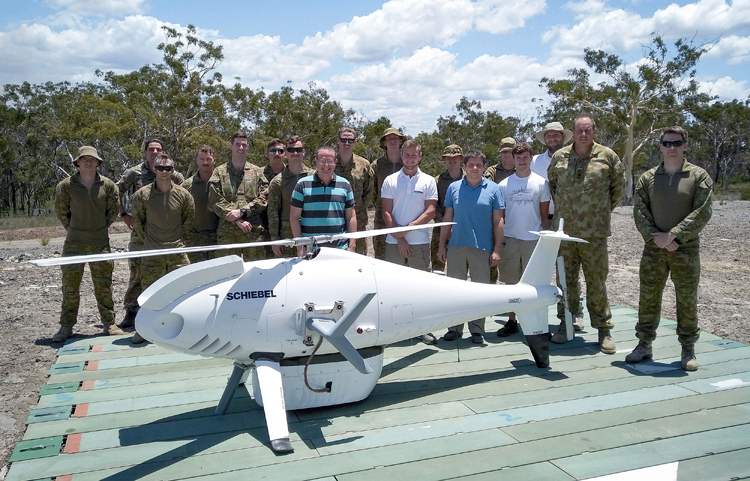 The Australian Army conducted a two-week activity with the CAMCOPTER® S-100 Unmanned Air System (UAS) to gain further insights into future capabilities and payloads in support of Project Land 129-3. Specifically, they tested ELTA Systems' state-of-the-art ELK-7065 Compact Airborne HF COMINT/DF 3D System during the first week, followed by Overwatch Imaging's game-changing TK-5 Firewatch during the second week of the exercise. As the market leader in Vertical Takeoff and Landing (VTOL) UAS, the multi-payload capable S-100 offers a proven platform for military and civilian applications on land and at sea. It operates day and night, under adverse weather conditions and with a beyond line-of-sight capability of up to 200 km. "The ELK-7065, integrated on the CAMCOPTER® S-100 UAS, offers the essential capability of delivering time-critical intelligence in the most complex operational environments," noted Chris Day, Chief Technical Officer for Schiebel. 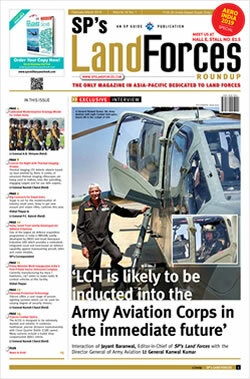 "This is increasingly important for military, para-military and civilian applications." Overwatch Imaging's TK-5 Firewatch payload, which was tested during the second week of the exercise, bridges the gap between small drone mapping cameras and satellite mapping systems. The wide-area multi-band land mapping with automatic small object detection enables regional-scale applications in real time with optimal resolution. It includes color, near infrared (NIR) and temperature-calibrated thermal longwave infrared (LWIR) sensors that operate at the same time, including simultaneous on-board image processing. Integrated on the CAMCOPTER® S-100, it becomes an extremely powerful asset for intelligence, surveillance and reconnaissance (ISR) missions. Director General of Aviation for the Australian Army, Brigadier John Fenwick, commented that, "The lease of the CAMCOPTER® S-100 and its advanced payloads is an important activity supporting Army's understanding of UAS capabilities. We will continue to explore all options to keep the Australian Army at the forefront of new technologies."